Turns out, gift wrap is not so environmentally-friendly. The paper kind, though recyclable, is usually virgin paper (i.e. no recycled content). The same for gift bags; plus, these also typically have a laminated surface, which often render them non-recyclable. Hmmm. So what's a Realistic Mummy trying to be "greener" to do? I'll use this when I'm giving to relatives ('cuz then I can ask for it back!). As versatile as wrapping paper, and very long-lived. 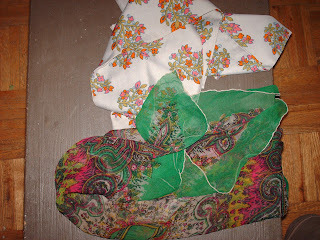 I have bought new fabric for wrapping purposes, but more "eco" would be to repurpose an old sheet or whatnot. A time-tested favourite! Give your newspaper a second job before heading to the recycling bin. Or, pick up a bulk roll of already recycled paper. (The recycled content is key here, with "post-consumer recycled" content more important than "pre-consumer recycled"). And who says they have to stay plain? Paint, markers, crayon all pretty-up these recycled paper options. Most parents seem to have more artwork than any household can keep. Why not use some of it to wrap gifts? It's like giving two presents at once! I mean the "silk" type ones, though I imagine a wool one would work too, in the right circumstance. Again, this idea did not originate with me. A millennia ago, we were given a wedding gift wrapped in a scarf. Lovely! And polyester scarves are easy to find and inexpensive at thrift shops. The additional challenge is then to wrap the gift in question without tape! (Tape is just strips of sticky plastic, after all.) Reusable fabric ribbon and raffia are my preferences. For a mature gift recipient, safety pins --maybe diaper pins?-- could also work. 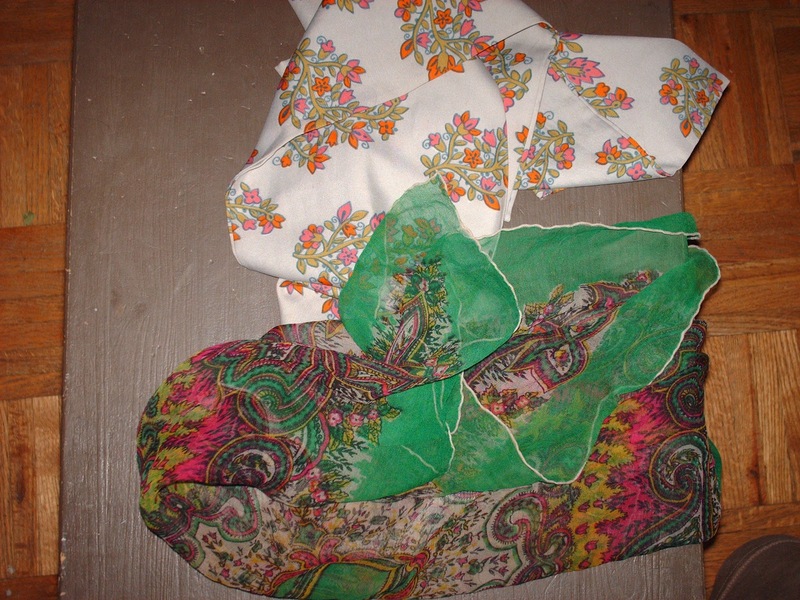 Tying fabric/scarves around objects in the Japanese style of furoshiki is a great option. Check out Japan's Ministry of the Environment pdf on tying techniques! How about you? What gift wrap alternatives have you tried? Scarves! Fantastic idea. I love the Japanese folding techniques. Can't wait to go to Goodwill and pick some up. Thanks, RM. Aren't We All "Mom Enough"?